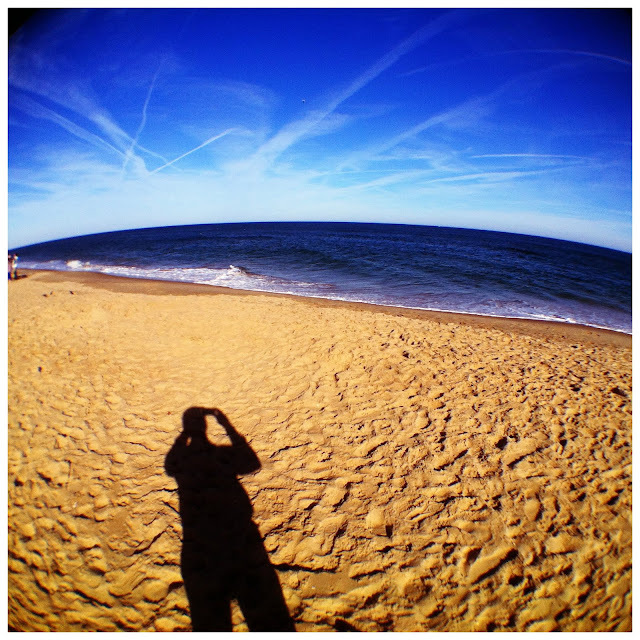 - 2012 started out with a beautiful day here in Virginia Beach, VA. This afternoon we went to Sandbridge Beach to take some photos. My wife Cindy is starting her own 365 scrapbook project for 2012 so I guess I'm starting project 365 number 4. Well here's a photo of contrails crisscrossing the clear blue sky for picture 1 of 365. I am making no promises to keep this up all year but right now it's kind of in my blood. iPhone 4, 1/200 sec @ f/2.8, ISO 80, Camera+ app, fisheye lens.